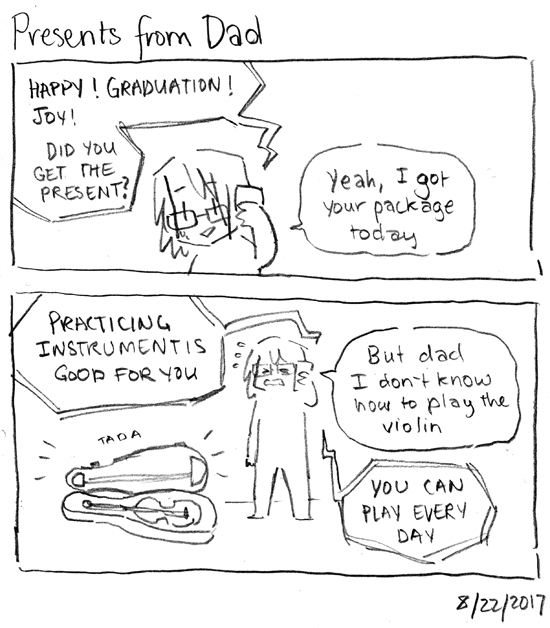 The next few comics will be about dad shenanigans from the past! This happened last year when I graduated from graduate school. This is probably not a surprise at this point, but my dad has a history of sending me bizarre presents without warning. By the way, I’m going to be at Crunchyroll Expo this weekend! Come get some art and accessories, and check out all the cool stuff going on at the Santa Clara Convention Center from August 25 – August 27! 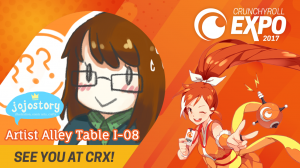 If you’re more into video games than anime, Magwest will also be happening the same weekend at the same place AND your Crunchyroll badge will let you into certain Magwest events and vice versa! That’s a pretty good deal! I will hopefully be able to get away from my table for a bit to check out some Magwest stuff myself!